My wife was diagnosed with stage four colon cancer. The doctor said he got all the cancer out after removing about twelve inches of her colon. Thinking she was cancer free we went home very happy. It took the doctors months to figure out she didn't have gastritis, but stage 4 small colon cancer. She started having terrible pain in her abdomen, and vomiting but no blood in either. I had a general surgeon do surgery and it was supposed to be laparoscopic but ended up being exploratory. They had to remove a foot and a half of her small colon (doing a resection), her appendix, one ovary, and part of the large colon. She was on FOLFOX for 3 months and then Folfirinox for 4 months to try and get ready for surgery and the HIPEC (hyperthermic intraperitoneal chemotherapy) procedure. I was just told she is not a good candidate for this surgery because the surgeon did not see enough response with the chemotherapy. Now her oncologist is putting her on Erbitux and a cancer cell blocker. I am nervous because of possible side effects. I noted that my lower abdomen on the right side was slightly distended and painful to touch. I went to see the emergency room doctor as I thought it was my appendix. They did a CAT scan and saw a suspected tumor. The next day I had surgery and the removed the tumor from my colon. It was cancerous but had not spread as the 30 odd lymph nodes were negative. My oncologist gave me an option of chemotherapy or follow. Since there was no evidence of a prophylactic benefit I chose to follow at this point. In 2013 3/4th of my colon was removed, and 19 lymph nodes. 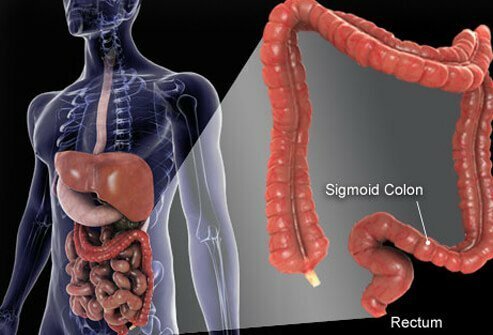 I had colon cancer stage 3 and I had no treatment because the doctor thought I was too old. Now I wonder if I should have done some treatment because now doctor thinks cancer is back, I have elevated CEA (carcinoembryonic antigen), done every 3 months. It is hard to know what to do. I was diagnosed with stage 4 colon cancer in June 2009. I had a resection and 16 inches removed. I also had a biopsy on my liver which was also infected and had 5 tumors. I did a SIR-Spheres treatment and had a liver resection and 5 tumors removed (approx. 60% removed). I now have 40 tumors in my lungs, lymph nodes in my neck, on my adrenal glands, omentum and a very rare location on my cheek (removed). I have done FOLFOX, FOLFIRI, Xeloda, Rituximab to stimulate platelets, Stivarga (new in September 2013), and now back on FOLFIRI. For lack of admitting defeat I am still walking and breathing without assistance. I am treated with infusions every other week with a Neulasta booster for low white blood cell counts. I am also taking Promacta to boost my platelets to between 80 and 100. My friend had been diagnosed with stage 2 colorectal cancer and she was totally depressed and lost all her hope in the life. Later on we came to know about colorectal surgeons and started treatment under them. They have provided with a variety of treatments and now she is completely cured. I have been diagnosed with 7 mm mass on/in colon via CAT scan. I am awaiting colonoscopy/biopsy. Symptoms were pain in right side, diarrhea, itching, anxiety, bone pain and exhaustion, 24/7, and most of all severe anemia. CAT scan shows mass, enlarged lymph nodes and fat stranding. My grandmother, who is almost 80, has a tumor in her large intestine, which is very close to her kidney. It was confirmed by a colonoscopy that she has the tumor. She couldn't eat, as the tumor was blocking thing. They have installed a shunt into the intestine, but the doctors say the tumor has to be taken out. They also said that she is so old that she can't undergo surgery or chemotherapy. I'd like to know if there is any alternative that could help her. First, I had severe abdominal pain on my right side. It was too late for a colonoscopy, so a right , right hemicolectomy was done. This was followed by 10 months of chemo via an infusaport. Four out of 10 lymph nodes were affected. I chose to have the infusaport removed. I underwent surgery and I have a temporary colostomy bag, which will be reversed after four weeks of radiation, given five days a week. I opted not to have chemo even though it was suggested! My decision was based on researching the pros and cons of chemo and hopefully I have made the right decision. I was diagnosed with colon cancer recently after a routine examination. I was very fortunate and most of all blessed that the surgery performed took all the cancer at stage 1. I'm now recuperating. This is my second week. I urge all readers to take time to have regular colon examinations done by a specialist as part of their health reviews. I waited and I had to do what I had to do. I was very fortunate. I have been given a new beginning, a new start, a second chance in life.